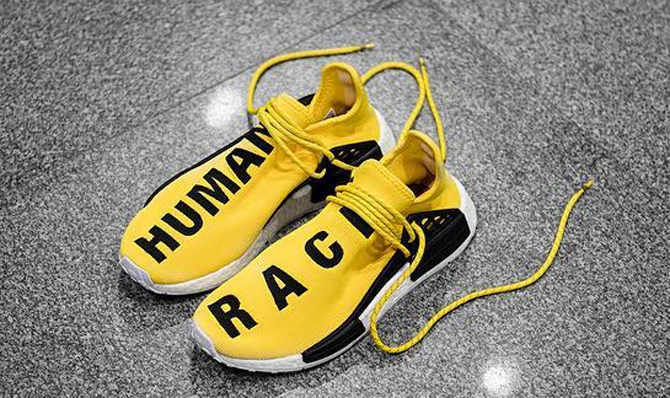 Get the info on his "Human Race" NMDs here. One of the hottest sneakers out right now is about to get a level up with the help of a Pharrell Williams co-sign. The producer's "Human Race" NMD is scheduled to release on Friday, July 22, per European retailer Sneakersnstuff. Adidas' NMDs will usually arrive in Europe first, so don't be surprised if there's still a wait of a couple weeks ahead for these. 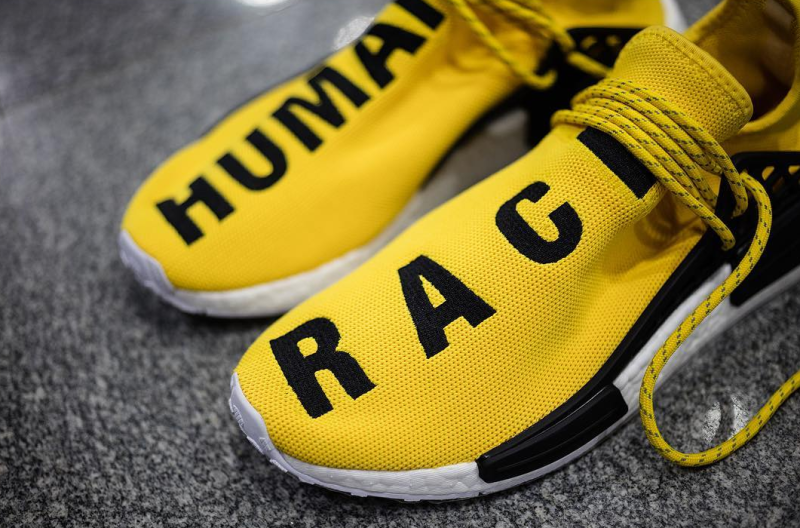 Williams has been wearing the shoes on the regular for months now, showing off different colorways and versions with the "Human Race" motif in different languages. For now, the yellow pair is the only one populating release calendars for Friday.